The Irish Lotto – Why is it so popular? Ever since the days of the Irish Sweepstakes back in the early 1900s, there has been a natural curiosity in playing the games of chance coming out of Ireland. For years, when lotteries were not yet legal in Britain, the Irish games dominated the landscape for anyone who chased the flutter of being in the running for a very large prize. The Irish Lotto began its draws in 1988, which was over 6 years before the UK’s National Lotto started its own draws. During this period of time, affinity to the Irish Lotto was created as there was high demand in the UK for Irish Lotto tickets. In the present day, there is so much more choice available when it comes to selecting which lottery product to buy. Even still, the Irish Lotto sets itself apart as an extremely attractive lottery game of choice. The Irish Lotto is an excellent lottery to participate in based on its substantial jackpots and specifications – the odds of winning the Division 1 jackpot are notably better than most other lotteries around the continent. “The luck of the Irish” is a widely used colloquialism that seems to have at least a grain of truth to it. Adherents of St. Patrick (the patron saint of Ireland) adopted the four leaf clover as a symbol of Irish luck because clovers are abundant in the hills of Ireland. 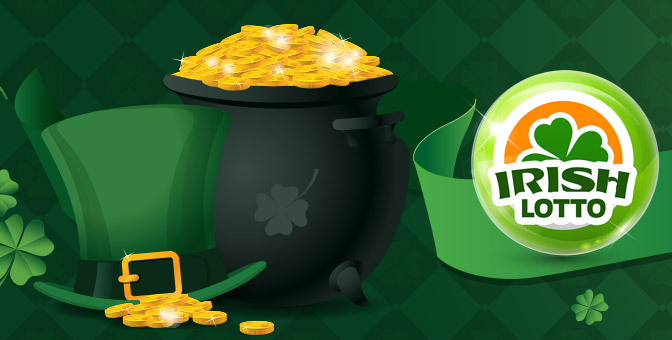 Are you ready to claim your own piece of Irish Lotto luck? Whether you are new to the game or a seasoned lottery expert, you should be able to find out everything you need to know about the Irish Lotto right here. What is the format of the Irish Lotto? The Irish Lotto is “Pick-6” lottery game where players select six numbers between the numbers 1 and 47. Players can choose to select their own numbers or can have numbers selected for them by choosing QuickPick. To win the jackpot, the objective is to correctly select a set of six numbers or correctly match a Quick Pick selection to the six winning numbers drawn for the game entered. When do Irish Lotto draws take place? Televised draws for the Irish Lotto take place every Wednesday and Saturday night at 8pm local time in the RTE Studios in Dublin. Six winning numbers and one bonus number are drawn. How much is the Irish Lotto jackpot? The minimum guaranteed jackpot for the Irish Lotto is €2,000,000. If it is not won, the jackpot prize pool “rolls over” and is added to the jackpot prize pool of the following draw. The average jackpot paid out is roughly €5,200,000. The maximum jackpot awarded to date is €13,793,435. This draw took place on January 23, 2016 and was awarded to a single winner. Annually, the Irish Lotto pays out a prize pool in excess of €100,000,000. How can Irish Lotto winning numbers be checked? Lotteries.com provides easy access to anyone who wants to manually check and see if they are a winner for themselves. Simply click on the “Results” tab at Lotteries.com and select the Irish Lotto for the latest results. In Ireland, prizes in the Irish Lotto must be claimed within 90 days from the date of the draw. Any prize not claimed within this amount of time will be forfeited. Unclaimed prize money is allocated to a special reserve fund. For bets by international players placed on the Irish Lotto purchased at Lotteries.com, numbers are checked automatically after every draw and winners are immediately notified. 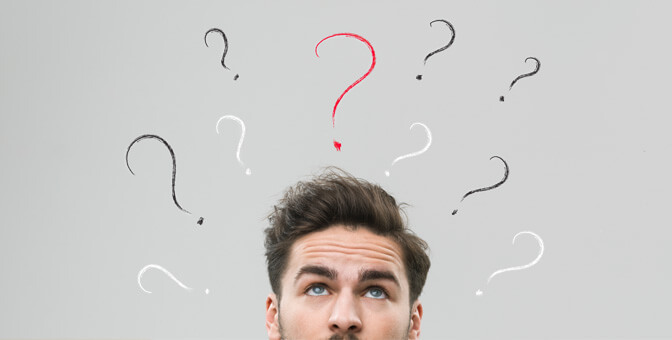 How many prize categories does the Irish Lotto have and what are the odds? In addition to the jackpot prize category, there are 7 additional prize divisions available to be won. Prize: Win or Share the JACKPOT – minimum €2,000,000 – jackpot grows from draw to draw if not won. Please note that Irish Lotto prizes are pari-mutuel and vary based on the number of winners and number of tickets sold. The prize amounts quoted above for Divisions 2 through 7 are estimates only. Division 8 is a fixed amount. Prizes are always paid out in full by lump sum. What are the odds of winning any prize in the Irish Lotto? The overall odds of winning any prize in the Irish Lotto is 1 in 29. Tell me about Irish Lotto history. The Irish Lotto is one of the most prominent lotteries in the world. Its first draw took place in April 1988 and had a format of picking 6 balls from a field of 36. At the time, the minimum jackpot was £250,000 which players could win or share by matching all six numbers. There were additional prize divisions available to be won for those who matched four or five of the six numbers. In instances where no tickets matched all six winning numbers, the jackpot would roll over into the next draw. Drawings took place every Saturday until May 1990 when a Wednesday midweek draw was added to the Irish Lotto schedule. The Irish Lotto continues has continued its draws twice weekly to this day. In August 1992, the specifications of the Irish Lotto changed from a 6/36 format to a 6/39 format. The odds of winning the jackpot climbed from 1 in 1,947,792 all the way up to 1 in 3,262,623. In concert with this format change, the minimum starting jackpot was doubled and a “bonus number” was added. New prize categories for matching 5 numbers plus the bonus number, 4 numbers plus the bonus number and 3 numbers plus the bonus number were added. Two years later in September of 1994 in an effort to generate bigger rollover jackpots, the format was again changed, this time to a pick 6 numbers from a field of 42. Jackpot odds were raised to 1 in 5,245,786. In September 1998, the cost to play the Irish Lotto went up. The minimum starting jackpot was raised to £1 million. Prizing in the lower prize divisions was raised as well. The Euro currency was introduced on January 2002. 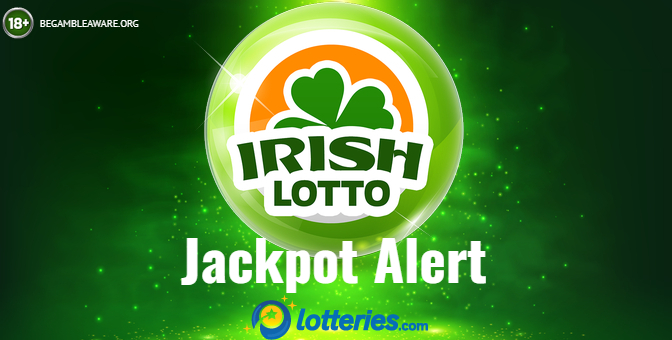 The starting Irish Lotto jackpot became €1.269 Million – the equivalent of £1 million at the time – and was rounded up slightly later in the year to €1.35 million. The minimum jackpot guarantee was raised to €2 million in November 2006 when the Irish Lotto changed its format once again to a 6/45 game. The prizing in lower divisions was again bumped up and a new prize division was created for matching 3 of the winning numbers drawn. These rules stayed in effect all the way until September 2015. On September 5, 2015, the format of the Irish Lotto was changed to the current 6 balls from a field of 47 format we enjoy today. Prizing was increased and a new prize division category for matching 2 winning numbers plus the bonus ball was created. How can international players participate in the Irish Lotto? By purchasing your Irish Lotto play at Lotteries.com, you will bet on the outcome of the draw. This means you select the numbers you think will win the jackpot instead of buying an actual ticket. By gambling on sets of numbers in this way, you will be eligible to win the equivalent prize money for each prize tier – including the jackpot – as if you had bought the ticket. Upon purchase, a confirmation of the bet(s) placed is sent out immediately. This confirmation will document the numbers being bet on and the dates of play. 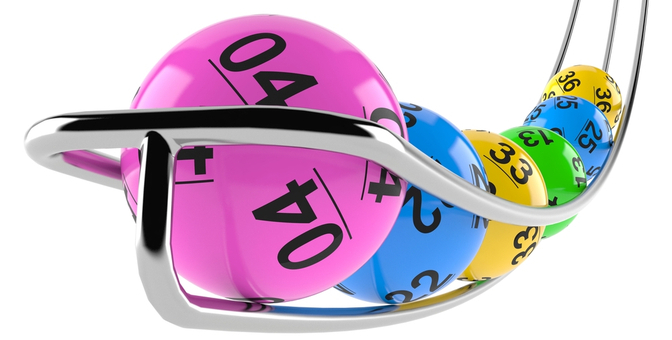 Once the draw takes place, any and all wins are automatically credited to the player’s Lotteries.com account. Is it possible to bet on more than one consecutive Irish Lotto draw? At Lotteries.com, players are given the opportunity to bet on multiple consecutive Irish Lotto draws at a time. Players need not worry about missing a draw. Can you imagine how devastating it would be if your regular numbers came up as winners in a draw but you had forgotten to play? Is it safe to play the Irish Lotto at Lotteries.com? All winnings at Lotteries.com are guaranteed. Lotteries.com is licensed by the UK Gambling Supervision Commission. The integrity of our games and payouts is what keeps this licence active. Lotteries.com provides the highest standards of protection in online gambling. Whether playing the Irish Lotto or any other lottery, Lotteries.com encourages all of its players to play responsibly. Players must always be 18 and above. Begambleaware.org.